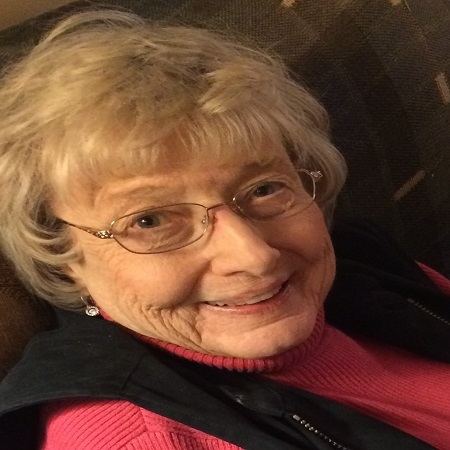 Bonnie L. O’Neal, 76, entered into her heavenly home on Thursday, April 4, 2019 at her residence in Lake Kiowa. Bonnie was born on April 19, 1942 in Buffalo, NY to William Herbert and Florence (Maloney) Openshaw. She married Chuck O’Neal in Roswell, NM on September 7, 1963. She was a member of First Baptist Church of Collinsville. She was a very loving, wife, mother and grandmother, one who loved her family unconditionally and loved spending time with them. In her life she spent a combined 22 years sitting in the bleachers watching her four sons play ball. Bonnie enjoyed making quilts and traveling the world, traveling to far of places like Israel, Alaska and the Caribbean. Bonnie loved animals also, she loved her many pets and enjoyed being able to show them in dog shows. She is survived by her husband, Chuck O’Neal of Lake Kiowa, four sons, Bryan O’Neal and wife, Denise, of Valparaiso, IN, Michael O’Neal and wife, Winter, of Ormond Beach, FL, David Sean O’Neal and wife, Siobhan, of Raleigh, NC, Jason O’Neal and wife, Gloria, of Indianapolis, IN, seven grandchildren, Kathryn, and husband, Jon, Charlie, Karalynn, Kelsey, Elyssa, Grace, Reilly and one great-granddaughter, Rosemary. Bonnie was preceded in death by her parents, William and Florence Openshaw and sister, Marilynn Openshaw. Pallbearers will be her sons and grandson. Funeral services will be held at 11:00 AM on Monday, April 8, 2019 at First Baptist Church of Collinsville, officiated by Rev. Jerry Davis. Entombment will be at 4:00 PM at Restland Cemetery in Dallas, TX. A time of visitation for friends and family will be held on Monday, one hour prior to service. Services are under the direction of Meador Funeral Home of Whitesboro. In lieu of flowers donations may be made in her honor to First Baptist Church of Collinsville, 877 Woodland St, Collinsville, TX 76233. Our thoughts and hearts are with Chuck and the family during this hard time. We loved Bonnie and will miss her here on earth but know we’ll see her again when the Lord allows. We can’t be there physically with you for the funeral but we will be praying for all of you during this time. I’m so very sorry to hear this news. Bonnie was a wonderful lady, my girls and I have great memories of fun times with her and Chuck when we all lived in NC. My thoughts and prayers are with your family during this sad time. God bless you all. Chuck, my heart just broke when I heard about Bonnie. I remember her best in our Sunday School class. I also remember how worried she was about you with your Knee. I keep a prayer journal and she asked for prayer for you several times. She is in a better place now, but I know that will not replace her being by her side. Jean and I will continue to pray for comfort and peace that only comes from above. We are never far away if there is ever anything that I may do that could be of any help to you..